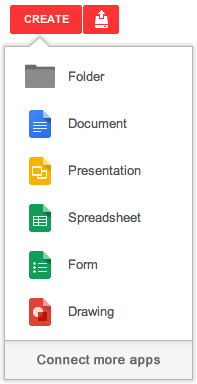 The “Create” menu in Google Drive has a new look. This change allows for easier access to Drive apps and third party apps. Note: To create a new file from a template, open the appropriate editor (Docs, Sheets or Slides) and click on File > New > From template. This functionality has been removed from the new “Create” menu.